Buxton doesn’t even seem like he’s running all that hard! 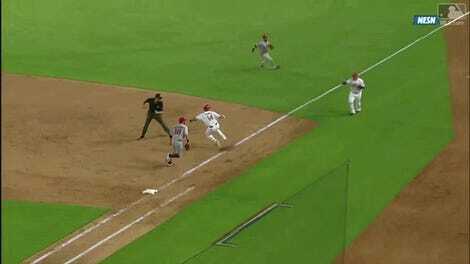 Look at that loping step at third base! This is a man scoring from first base on a goddamn single. (Here’s a link for mobile types, if that embedded video won’t cut it.) Buxton isn’t hitting too well this year, but he leads the majors in defensive WAR, and man can he fly.